But you can’t brand people. They are not a culture. They are not a religion. They are not a headscarf or fashion sense. They are not a race. They are not a country. They are not a language. They are not a ‘refugee’. They are a person. We are all people, and the notion of putting boundaries, barriers and borders between us all is somewhat ludicrous. For starters, people do not actually own the land or Earth. Earth was not created with crazy outlines of borders between ‘states’ and ‘countries’ to be fought over. Earth itself is unified. On the inside, we are all made of the same stuff. We have the same organs. We have the same hearts. We all love, care and are deeply sensitive. We have families, we care for people. We bleed when we are cut, we get hurt by cruelty and trauma. We get the same illnesses and diseases. We are a one humanity, and artificial borders, different creeds or beliefs, or dress codes, skin colour or language do not in truth make us different. Our very DNA says that we are all the same. There is no gene for ‘refugee’, ‘migrant’, ‘Australian’, ‘Muslim’, ‘Jew’ or ‘Christian’. There is an argument that in Australia and many countries in ‘the West’ that we should not take ‘refugees’ because we do not know whether we will be taking terrorists. Should we also put a ban on babies being born in our countries because we can’t guarantee whether potential criminals or terrorists will be being brought into our country via birth? What we are facing in the world at the moment is a mass exodus of biblical proportions from a war torn country, Syria. Millions of people are leaving the country because life is untenable there. Are we truly going to stand aside in our comfortable lives in the West and turn our backs on human suffering because we ourselves are comfortable? Substitute the word refugee for the word ‘person’ or human being’. Would we feel similarly? Change the dress code and skin colour – would we feel differently? What if it were us? What if our comfortable urban lives were turned upside down by economic crisis and perhaps a change of government, and a militia group took over and started destroying people and the country, beheading people in our public squares? What if we were forced to leave because life became untenable here? How would we feel about being placed in inhospitable concentration, sorry I mean detention camps? How would we feel about being ‘processed’ for 5 years whilst women were being raped, and we were being held in unsanitary overcrowded conditions, unable to work, with limited access to computers, where even sanitary pads were not made available to women? Would we not out cry to the world to take care of us? We are a one humanity and the ‘refugee’ crisis at the moment is not a ‘refugee’ crisis, it is a crisis facing the world affecting millions of ‘people’. We have a responsibility to each other to not keep each other out. We have a responsibility to care for one another. This matter is not a matter for Australia, nor for Germany, or only a few countries, but rather this is a global matter and we need to approach it globally. People are in crisis and people are in such trouble that they are getting on overcrowded leaky dinghies to cross oceans. Not a stream or a canal, but oceans with large waves and high winds. It doesn’t get worse than that. It is a call for us all to take care of and heed the pain of our brothers. Let people in. They have no home. If life is untenable where they are we have a responsibility to let them in and take care of them. Welcome them as equals. Not tolerate them, but welcome them with open arms and no discrimination or hostility. Had we had no hospitality after the Second World War, where would many of us be today? I myself am the daughter of a person, a former ‘refugee’ from war torn Eastern Europe in the late 1940s. Had Australian not been open in the 1940s and 1950s, where would Australia be today, and what would have happened to those millions of people displaced by the cruelty of the Second World War? I am certain that a few war criminals made it through the post war refugee hospitality, but have our countries truly suffered for that? And have they not benefited from the input of the hundreds of thousands that migrated there. We were open once, why not be open again? Or do we have selective humanitarian policies considering only those with a particular skin colour or religious creed to be ‘human’ enough to have rights…? We cannot consider ‘refugees’ to be other than us, but rather to consider them as people, just like us. We are a vast country in Australia with vast space to house millions more people. Sure, perhaps a few undesirable elements may make it through, but do we punish hundreds of thousands or millions and allow them to suffer and die because of that? Or do we rather be prepared to deal with the minor harm that comes when people come? Or are we so narrow sighted as to assume that every single person who is coming is a criminal…really? millions of people leaving their country are all criminals and terrorists…that doesn’t make sense. In Australia, we have a tradition that migrants are very hard working. Our country has been enriched by the millions of people who have come here, many of them former refugees. It appears to me to be an urban myth that migrants/refugees/people-not-born-in-this-country are lazy drains on our social welfare system. Lets open our hearts with the governments of the rest of the world, and work together to take care of people who are so traumatised they are leaving their home country in their millions. It may even be good for our economy. ← Are you a doctor, or a person? I agree Suzanne. Especially with “[full stop – the end]”. Maxine, I love your article here, and agree with all that you have said. Great for you to speak out, and with you all the way on this one. Australia was built of refugees – people came here from boats and settled at the very start. some times I shake my head at how ignorant and silly we can be. This blog highlights the very important fact that before we are a nationality, culture or religion we are human first. If the planet is our home, then we are all one human family and should treat each other as such. Anything that gets in the way of this should be called out for the divisiveness that it is, rather than being championed as a good thing. Love it. I so agree Andrew. Great article Maxine, thank you. I too have trouble understanding our attitude towards ‘refugees’, especially as many of us also came from somewhere else, at some time! I too have one parent who was not born here, but was accepted from overseas, to study and to live here. We are blessed with such abundance here, and have plenty to share with others. As people, we have a responsibility to care for ourselves, and for other people. If we shut them out, we create a prison of our own making, for ourselves. Thank you Maxine! Your article clearly highlights that Western Governments clearly aren’t doing enough to let people in and are not taking responsibility for all the power they hold in the world. We are instead sitting back and not bringing the change we want. Its a reflection of how people are living on a micro scale as well. We are all one, we are all one humanity. Why not join together, I agree and deal with the minor harm that may come from such actions. Thank you, great post. People are desperate and keeping them at arm’s length whilst reaching for the next stubbie with the other and watching it all unfold on TV from the comfort of one’s bastion won’t cut it. After all, we have all been recipients of generosity and goodwill in one way or another and it is time to return it in kind. I agree Gabriele. Thats so true, ‘we have all been recipients of generosity and goodwill in one way of another and it is time to return it in kind’. Well said. 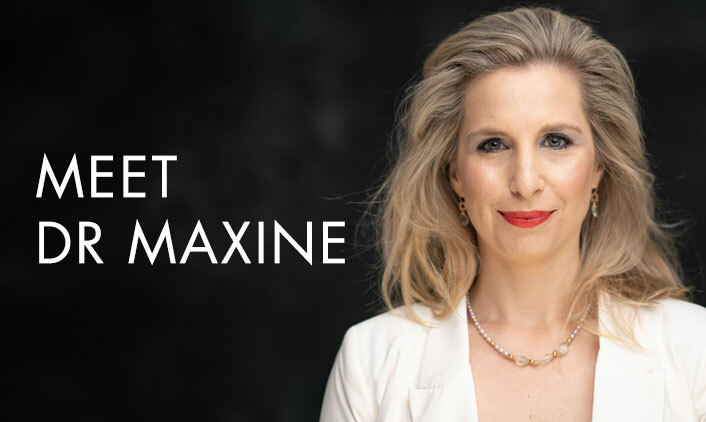 Great blog Maxine. “We have the same organs. We have the same hearts. We all love, care and are deeply sensitive. We have families, we care for people. We bleed when we are cut, we get hurt by cruelty and trauma. We get the same illnesses and diseases. We are a one humanity, and artificial borders, different creeds or beliefs, or dress codes, skin colour or language do not in truth make us different.” I agree, the differences we highlight are just excuses so that our comfort is not challenged. To shut the door is a denial of others as our brothers and sisters, a statement that “you’re not worthy, you are different” when in fact we are all worthy of a safe and secure home – we all are the same.